Final Fantasy V aka Final Fantasy Xtreme aka Final Fantasy “This is too hard for the stupid Americans” aka Final Fantasy Awesome. This here is a fun little Final Fantasy. 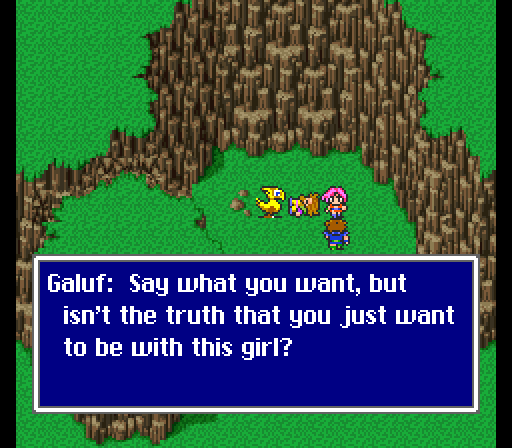 It refined Final Fantasy 3’s job system and made it into something great. It’s special because it lacks, get this, silent protagonists, love stories, EMO characters and prettyboy bosses. Basically, this is the best game ever created.